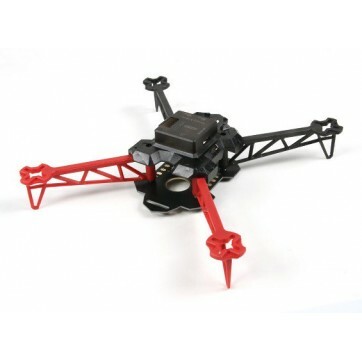 If your looking for a simple easy to build 250 class frame that suits your Naze 32 or CC3D flight controller look no further! The HMF 250 FPV racing frame is packed with neat features and its design also allows for a very quick and simple build. The arms of the HMF250 are sprung loaded and latched to enable the arms to fold forward for easy storage and transportation while the integrated PDB allows for a neat and tidy install. The upper and lower deck of the HMF250 provide plenty of space for your electronics and the upper deck includes a bespoke Naze 32 / CC3D Mount with protective cover. The HMF250 also includes an LED Light set which solder neatly to to the PDB along with an XT60 to ensure your battery cable remains out of harms way. The arms and upper deck of the HMF250 are manufactured from Nylon and are injected with PA66 material to add strength and increase durability.